The Catalan design association FAD’s Xarxes d’Opinió (Networks of Opinions) project aims to “identify, break down and discuss the principal issues facing society.” This lofty pursuit, backed by the Generalitat de Catalunya and Ajuntament de Barcelona, is undertaken as part of the FAD’s mission, which extends beyond simply fomenting Catalunya’s creative community – design is the creative solution to humanity’s problems. As part of this intitiative, the FAD are holding a series entitled Design and Social Transformation. Today’s session higlights two creative projects addressing challenges in the areas of social inclusion and health. 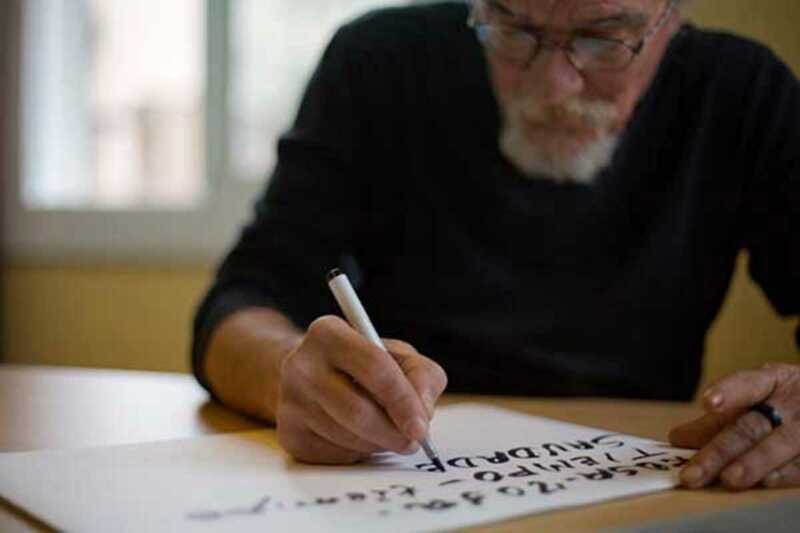 The first, Homelessfonts, by the non-profit Arrels Fundació and ad agency The Cyranos McCann, presents typefaces created from the handwriting of homeless people, with proceeds going to support the homeless. The second, Pal Joc (game pole), created by Guillermo Puche and Raquel Melero at children’s hospital Sant Joan de Déu, is an ingenious and simple adaptation to a sick child’s natural desire to play with his or her IV pole. The pole provides a safe support to the child’s play while simultaneously serving its function of administering medicine to a mobile patient.